Our studies determine if a relocation means a move to an area where housing costs differ from the existing home location (purchase or rental) and if so, by how much. The truest and most accurate ‘like for like’ possible, an individual study considers an employee’s actual property, and all the characteristics of its neighbourhood. These details are captured and (as closely as possible) replicated in the new work area. 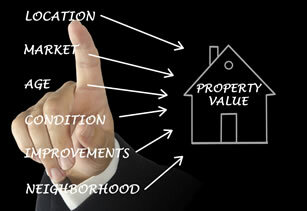 The likely value of the actual house in the new area is determined and compared with actual ‘old’ area value. An ideal ‘ready reckoner’ for multi-sited Companies, tables / matrix can be built against pre-agreed criteria (house types /areas, distances from work sites and so on). Specifically designed for the unusual property or contentious case, this study will allow our in-house Surveyor to consider the facts of the case with ‘first-hand knowledge’ of the property / location. A simple approach designed to help determine if a full study is likely to be required. Relocation Policies are usually designed to provide compensation on the basis of ‘like for like’ and NOT ‘betterment’. A Differential Assessment Study will provide the Company with a sound basis on which to calculate allowance.